Featuring bold color and sleek design, this modern gold bench is the epitome of modern design. 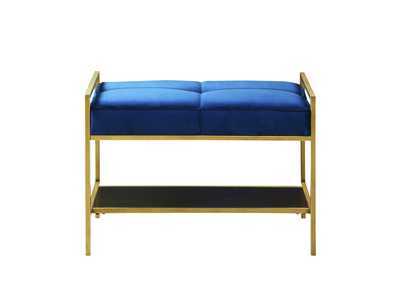 Add luxury to any space with the two plump blue fabric pillows, supported by an angular metal frame. 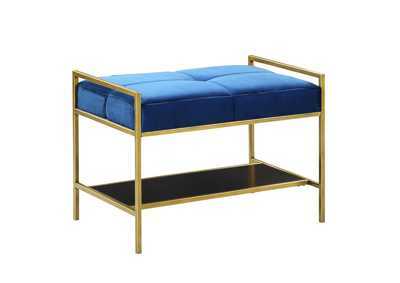 Incorporate structure into a chic bedroom or hallway with the clean lines from the metal frame. In a stunning gold finish, the rectangular silhouette can be dressed up with your newest magazine or favorite books and throw blanket. Warm up a space with metallic radiance and cool colors.